Well, it has finally happened (just as I knew it always would)! Robert Priddy: Why this perpetual backward pseudo reasoning from Moreno? It is a case of total denial of a compulsive kind. Moreno has himself described how his pants were lowered by Sathya Sai Baba lowered and he was ‘oiled’ on his “lower stomach”. Since this was not done by a doctor under consent, it was sexual interference without explanation (’grooming’ or testing for an erection) which objectively amounts to himself having been molested sexually (according to Indian law). Moreno did not perceive it as such, but few who go into the private room behind closed doors believing Sathya Sai Baba to be a divinity seldom do. The attention he felt this amounted to gave him a great lift, and he has stated that no one before Sai Baba had taken any notice of him! Few tell openly what happened, and Sai Baba warns most not to tell. This prominent fact in Moreno’s story is one which we may be allowed to question further. One obviously asks “how low”? Embarrassment in telling the facts accurately can fairly be assumed. It goes without mention that Joe Moreno refuted and denied being sexually abused by Sathya Sai Baba going back to July 2006 when he was first made aware of those attacks (Ref). Apparently Robert Priddy is following in the footsteps of his sexually-focused friend Sanjay Dadlani (who made similar accusations against Moreno). At no time did Moreno ever state that he had “his pants lowered by Sathya Sai Baba” (a bold-faced and gutter untruth). To the contrary, Moreno specifically stated, at no time were his pants ever pulled down. Robert Priddy is wholly unable to reference his bitter and venomous attacks against Moreno with any credible, verifiable or factual references because Moreno never (ever) made any of the claims falsely attributed to him by Robert Priddy. Isn’t it strange that for someone who is alleged to have been “embarrassed” about being “molested sexually”, Moreno revealed the full details of his interview experience with Sathya Sai Baba on a public website (Ref)? Surely, if Moreno was so “embarrassed” about being “molested sexually” by Sathya Sai Baba, he would not have publicly mentioned it in the first place! Robert Priddy: He had posted it along with an account about himself and his visit to the ashram – and the private interview room – of Sathya Sai Baba (and his ‘oiling’ by him). Later he removed this as too compromising – but it was too late as it is downloaded and in good keeping. Robert Priddy is a bold-faced liar. Moreno’s interview experience with Sathya Sai Baba was never removed from his geocities website. It is still available on the internet and Moreno has no intention of removing it: See For Yourself. Robert Priddy’s absurd claims about Moreno prove he is a pathological liar in need of orthodox psychological help. Robert Priddy claimed he had private interviews with Sathya Sai Baba. Was Robert Priddy “molested sexually” and is he too “embarrassed” to talk about it as well? Priddy’s private interviews must be viewed in the exact manner as he views Moreno’s private interview. It does not matter what clarifications, denials or explanations Robert Priddy may give. He will not be free of the perception that he was “molested sexually” and is too “embarrassed” to talk about it. Robert Priddy’s true colors have finally come to light. And thank goodness for that! Robert Priddy is (as people have been saying all along) a bitter, vindictive and sexually twisted liar who purposely distorts information against others to revenge his big & bruised ego and impotent arguments against Sai Baba. If Robert Priddy openly falsifies sexual molestation claims against Moreno, what other sexual molestation claims is he fabricating as well? Amusingly, Robert Priddy had the audacity to make several legal threats against Moreno for “defamation” (if the information is negative, but true, that is not “defamation”). 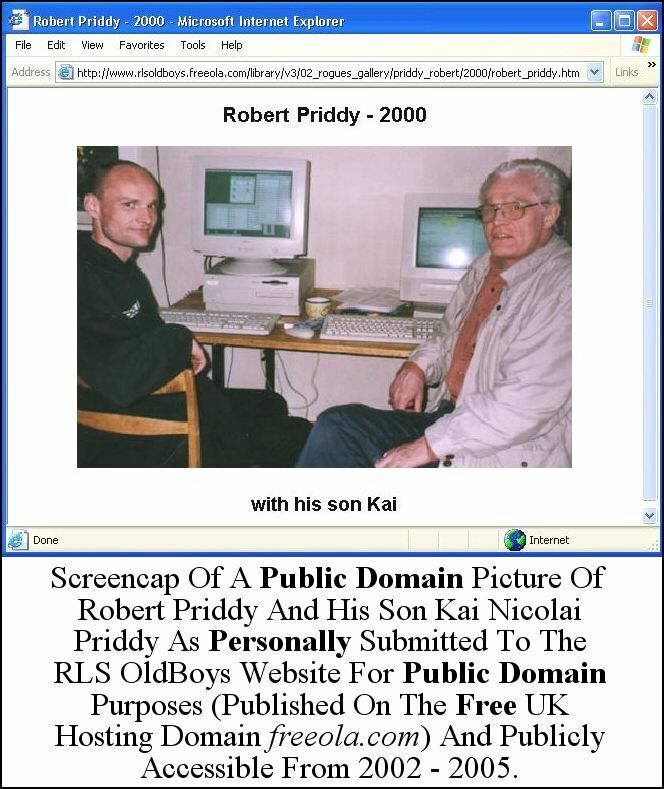 Let Robert Priddy proceed with a legal case. He will be greeted with a swift countersuit of such proportions, sphincters will contract in his gaunt body that he never knew he had!